Joining Metal Fabricators and Welding is a unique opportunity. We hold true to our goal of providing work-life balance and a culture of learning. It’s our belief that our success is driven by the quality of our products, our service and our professionalism. None of this is possible without an engaged and satisfied workforce. Therefore we offer competitive compensation and the opportunity to become part of an exceptional team. The best work is done by those who enjoy their work. We look for those with a passion for this industry and provide a challenging environment to grow in. Each project is different, ensuring that the work changes from day to day, presenting a challenging and rewarding environment for skill development and long term growth. 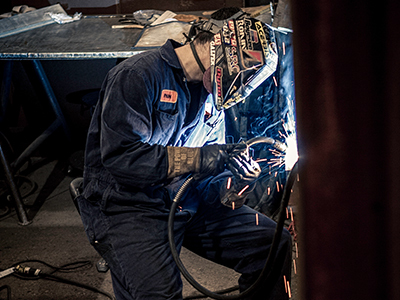 Metal Fabricators and Welding has always put the growth and development of our staff at the top of our priority list. We offer a 360 degree feedback program with a robust skill development plan to all of our employees. We don’t forget the little things either; we offer paid training in Health and Safety, First Aid, and even robotics operation. Supporting our industry has always been a priority to us. Our commitment to the U of A’s welding and joining program just recently wrapped up and we’re now supporting N.A.I.T. 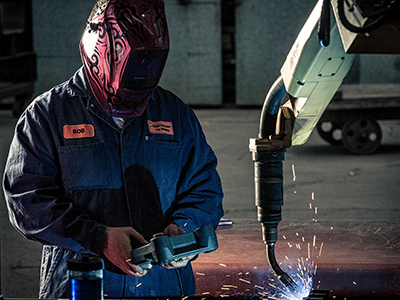 to ensure the continued development of the welding and fabricating industry in Alberta. Make sure to stop by the “Metal Fabricators and Welding Drafting and Blueprint Room” at the NAIT Waiward Centre for Steel Technologies. Our leadership team is progressive and approachable, interested in the ideas and suggestions of the team. We’re an old company with a young feel. There’s energy in our workforce and passion for doing a good job. Even if there aren’t any openings, we still look forward to hearing from you and we will keep your information on file. Contact us at careers@metalfab.ca.